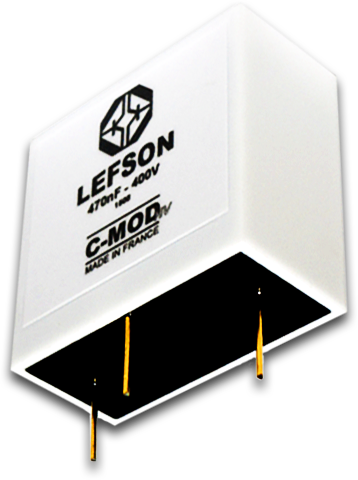 The LEFSON C-MOD HV is a very high performance high voltage audio coupling module. 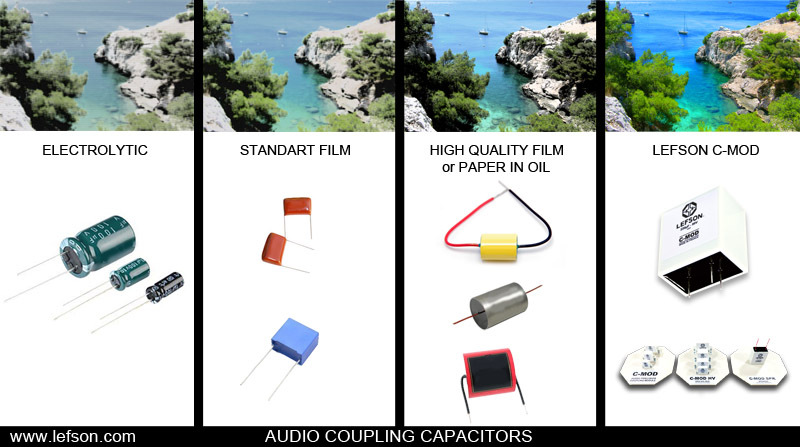 It’s named «coupling module» instead of «capacitor» because it was designed with care in the point of view of an audio coupling system. Extremely low loss operation is one of its best features, this is our «WIRE LIKE» technology. Specially designed to process small AC signals (instrument, microphone, line), the LEFSON C-MOD HV is the perfect solution when a DC blocking capacitor is needed, in vacuum tubes or high voltage transistors circuitries. 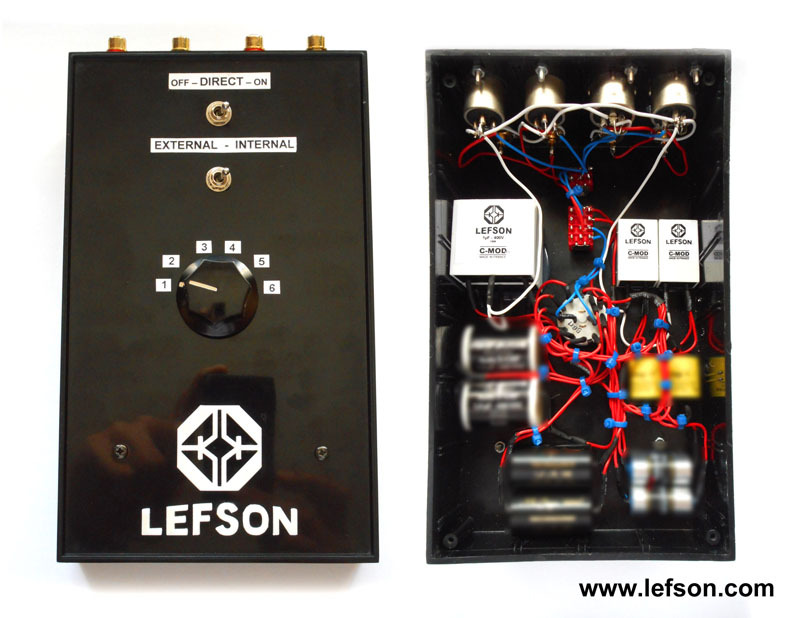 The LEFSON C-MOD HV is fitted with an internal shielding and can be placed in high magnetic flux environment. A dedicated clamp (patent pending) can be optionally used to achieve a perfect mechanical ground. The LEFSON C-MOD HV is non-polar : both audio pins can be either used as input or output for analog signal. It is designed to be used as a precision audio coupling module. The LEFSON C-MOD HV is sold with a 20 hours burn-in time. To achieve optimum results, it needs to be burned-in with audio signals during at least 80 hours. Ideally, we shouldn’t have to use any capacitor to design an audio coupling. They cause, because of their properties, a variable ratio of losses of any AC signal that runs them. The best capacitor should be « no capacitor ». The preservation and stability of DC polarization voltages between electronic stages sometimes forces the designer to use an audio coupling capacitor. The purpose of the LEFSON C-MOD is clear : get closer to the quality of a direct (wire) coupling. Traditional measures using a pure tone show that the LEFSON C-MOD has quite standard characteristics. 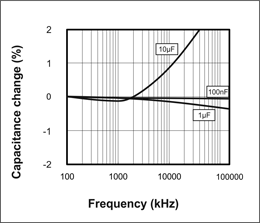 We can notice the low ESR (Equivalent Serie Resistance) and dissipation factor (Tan δ) values. "A revolution in the coupling capacitor industry..."
Most of the audio electronic gears (mixing desk, preamplifier, amplifier, equalizer, compressor, non-dynamic microphones, spatial effect, etc.) need coupling capacitors to operate correctly. These allow the different electronic stages of a device to operate together. 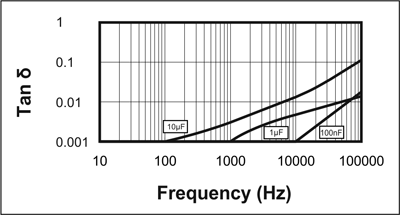 Let's take as example an equalizer fitted with an input stage, a frequency filtering stage and an output stage. Two coupling capacitors are sometimes necessary for the device to operate : one between the first and the second stage, an other one between the second and the third. 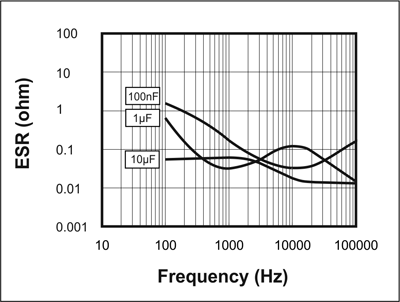 The problem is that every coupling capacitor degrades the audio signal which crosses it. A lot of sound details disappears, the stereophonic stage and the depth are reduced. Digitally said, it is the resolution of the audio signal that decreases. Audiophile people goes on war against coupling capacitors, considered as designing aberrations. However, it is often impossible to leave them. That is then very important to find the one which causes least losses, the one which degrades least the audio signal which crosses it. 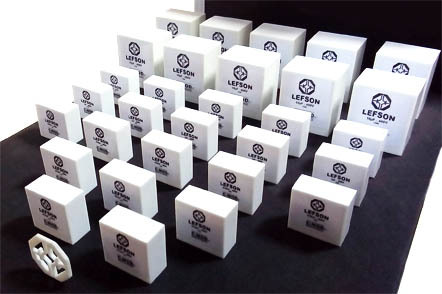 LEFSON designed three lines of coupling modules, the C-MOD (Coupling Module), to resolve this problem. The C-MOD does not color and does not almost degrade : it protects the characteristics of the audio signal which crosses it. It thus becomes possible to considerably improve the audio quality of a majority of gears, while keeping their characteristics, their features, their original sound color. Changing coupling capacitors of this vintage tube compressor by LEFSON C-MOD will only improve the global resolution coming from all these four features. To perform these tests in experimental conditions and make all of our partners able to hear differences, we designed a capacitor comparative stereo box. It's only made of sockets, rotary and lever switches. This way we can compare things with the necessary rigor required in the world of audiophily. All tests we made used 20 hours burned-in components. 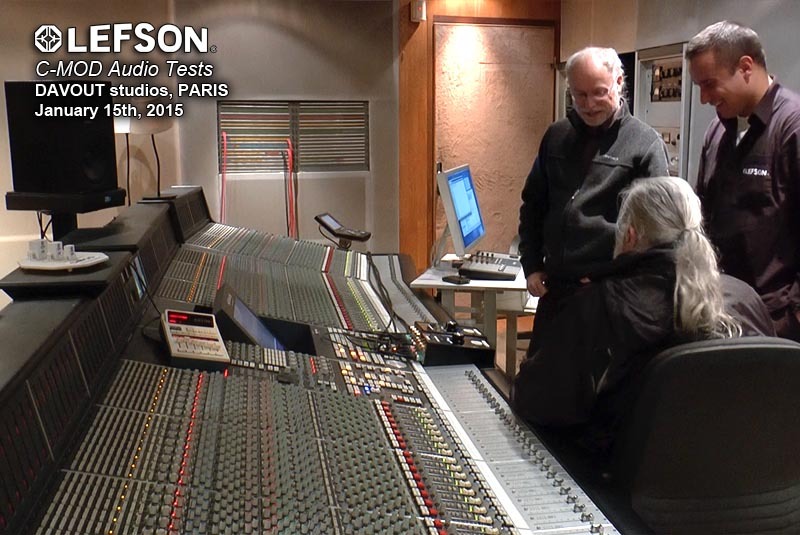 To achieve optimum results, the LEFSON C-MOD needs to be burned-in with audio signals during at least 80 hours.